Glamorous life in 1850. Fashions under the Restoration. Glamorous life in 1850. Fashions under the Restoration. 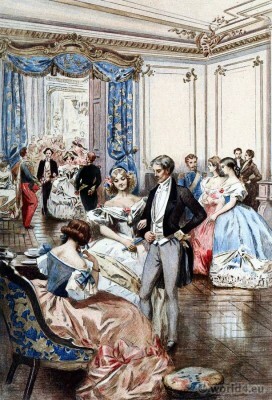 The Frenchwoman of the century; Fashions, Manners, Usages by Octave Uzanne.